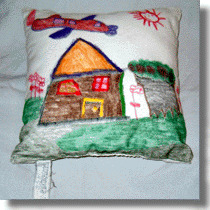 The art project is a one hundred percent cotton canvas pillow ready for art that a child or any one can create. It is non-toxic and washable. It promotes the arts in schools and on the web. 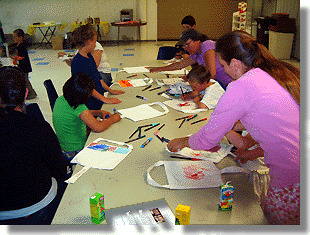 It consists of a cotton canvas, colored fabric pens and a child, the artist. The completed canvas becomes a one of a kind pillow. 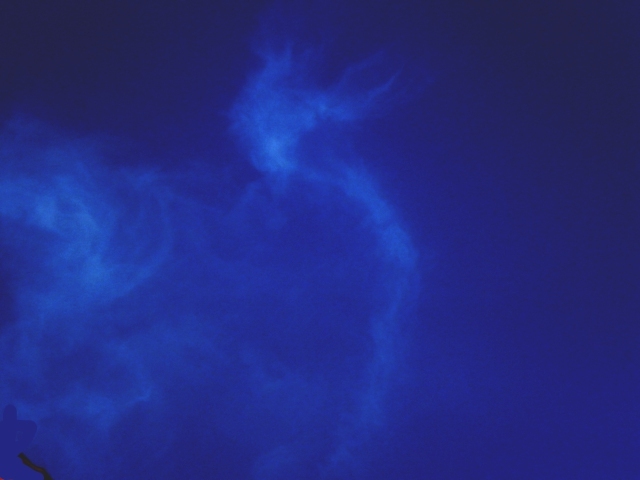 The pillow is as individual as a fingerprint. It will be photographed and placed in the Fundable Art Gallery™. 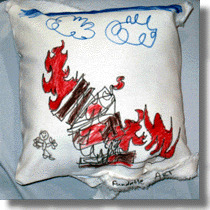 The pillow art is a one-of-a-kind keepsake that you and your child will cherish for years, or can be used as a gift for family or friends on any occasion.